It seems a bit surreal that I now have a sister to chat with on the phone. Each phone call usually lasts hours, till we’re both exhausted. Trying to catch up on time we didn’t get to share growing up as a normal family. I knew about her, but I never thought she’d one day find me. I looked for her back in my thirties, but the trail seemed cold. I had no way of knowing her adoptive name. And I was told the records could not be released. Then, that fateful day she took a DNA test seeking genetic information for her medical records changed it all. And that started this whole chain of events. I remember sitting there reading it over and over again. It didn’t seem possible after all this time. It was a little while before we were in contact. And finally we started calling one another. And now it is just customary that we will chat. It just goes to show you that you never know what life will bring to your door. Such ordinary words. Words that women the world over think every day. Those words have changed my life. August 4th, I recently learned, is Sister’s Day. And this year, I’ll have one to share it with. Then I consider you both lucky women! It's so wonderful that this is a positive development for both of you, that you are enjoying each other's company. As many families have proven, sharing DNA isn't enough to guarantee love. Happily the DNA brought you together. One day, I would like to hear what you thought about the situation when you were a child. It is so confusing for me, but I don't think it's that rare that families are torn apart. I would like to better understand the child's point of view. Then I will write about that. So happy for you Brenda. Glad you could find that connection with your younger sister. I am so happy for you and I do know just how you feel. Being able to share some of the simplest moments of the day with your sister means everything to a woman. Sisters Of The World, Unite! Nice to see you here, Marietta! You may not have found much on the Native American front, but you found me. I am so happy for you Brenda. Glad that some things in live turn out the way we want them to. Enjoy the sunshine & have a marvelous day! I think I speak for everyone when I say we are all very happy for you! Everyone needs that special someone in their life they can call, turn to or just know is there for a chat when needed. I am so truly happy for you Brenda. you both deserved this wonderful journey happening in your lives. bless you! You have a forever friend. I am so proud for you. So happy for you Brenda! 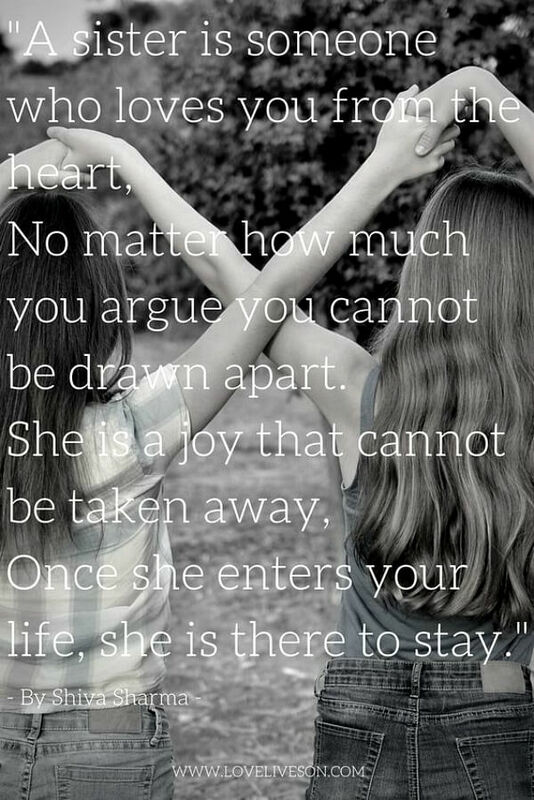 I have 4 sisters, and one in particular I am very close to. We have long chats on the phone and I miss her a lot. She lives in another state. I'm so very glad you found each other, Brenda!! Are you making plans to meet in person some day in the future? How amazing that would be for you!! Lately we've actually been discussing possibly becoming next door neighbors somewhere. 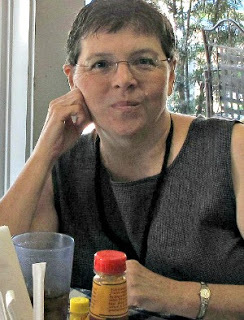 Marietta, with her MS, needs drier, less humid, air. So probably wouldn't be where I am now. This is wonderful, Brenda…so happy for you! Glad you were able to get to the bottom of your blog issues, too! Very sweet. Happy for you both. How awesome, Brenda!! So glad y'all found each other. I am SO happy and excited for you!! I am happy for you. I have always wished I had a sister. I only have one brother, and even though I love him dearly, I have still wished for a sister too. So happy for you that you have found your sister and are connecting. I was an only girl with 4 brothers, so I will never experience what it is like to have a sister. I did have a wonderful mother and shared things with her. She is now in heaven, but I have been blessed with two wonderful daughters (now adults) that I enjoy. have a sister. She was about five, tiny as a fairy with a sprinkling of freckles on her nose and long blonde hair smooth as silk. They did inquire into it and were told that the children could not be adopted. I was crushed beyond belief and mourned for my almost sister. I'm so happy for you that you found each others after all this time! So glad you found your sister. Sisters are special. That would be wonderful if you and your sister could live next door to each other! That way, you could be a sorta caretaker for her since she has MS.
Wow…so happy Brenda that you and your sister found each other. As they say, 'Better late than never' ! I have a brother four years younger than me, but we never were close. I always wished I had a sister to share feelings with. How wonderful that you and your sister are enjoying that now. I'm just adding to what everyone else has said, and that is that I'm so happy for you that you've found each other! I am so sad for you as I read your most recent post. Though I am sure they thought they were doing what was best for you. Who knows! So difficult. I lived with my father until I was 5 and then one day they put me on a plane and told me I was going to live with my mother. Had no concept of what a mother was! It was pretty traumatizing to say the least. It took me weeks before I would talk to her! I'm so happy for both of you that you have found each other again. And that you're talking for hours on the phone. I hope you can meet in person in the near future! WOW Brenda! That is absolutely fabulous!!! I'm so happy for you. 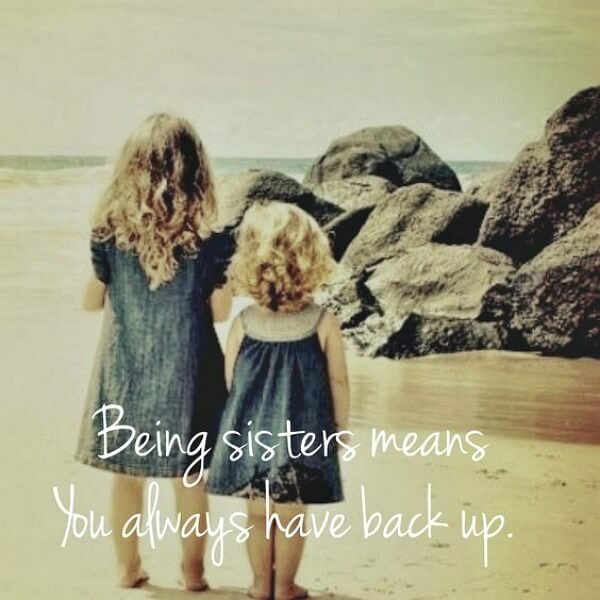 I have been blessed to have two sisters, one older and one younger than myself and I love them both dearly and I know they feel the same way about me. You are blessed!!! I have one sister. She is very special to me, and although we have disagreed on critical issues, we continue to be best friends. She and I share a rich past and lots of childhood memories. 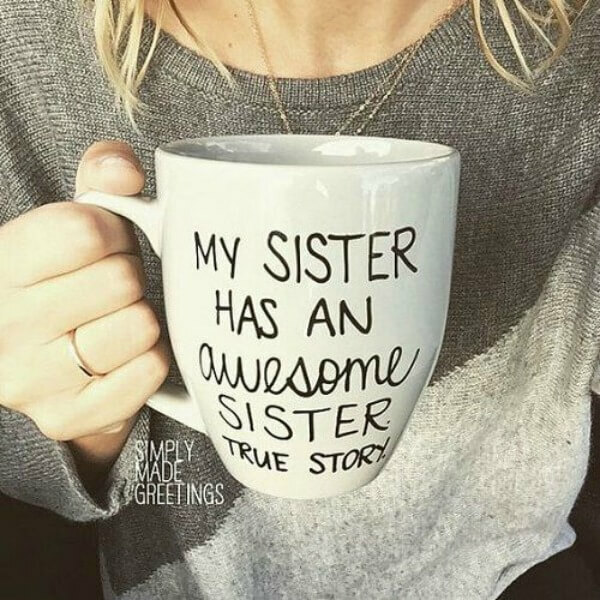 It will be so interesting to hear your story and to see how much you and your sister have in common. I'm Brenda's newly found sister Marietta. In the notifications settings of my profile, (before sending the sample off), I chose to be notified if anyone else's dna matched mine. (They also must have opted to have their match(es) notified.) Likewise, I had the option to notify other matches if their dna matched mine, as long as they opted to be notified. Luckily, a 2nd cousin had used Ancestry.com & had opted to be notified & to have any match be notified about her! As my "user name" I put my birth name, which I learned after receiving a copy of the adoption decree from my adoptive dad in 2002. That was also fortunate, as she was certain it was me by seeing my birth name, Glenda Pruett! I actually read the email she sent to me through the website before seeing the test result email, which was sent first! (You have the option of being notified of your test result by email.) I hope that made sense. Btw, why our last names differ in spelling, we don't know. Brenda has a theory about why that happened, & I think she's right. A big thanks to whoever discovered DNA and how to use it to connect relatives and a big rotten tomatoes to the agencies that keep records sealed from people who want their information about themselves or other family members…People in these situations should be given their information…if they do contact family and are rejected..so be it but the right to try should be a birthright..